Healthy Vision Month is an annual observance established by the National Eye Institute (NEI) in 2003 to create awareness about eye health and safety. 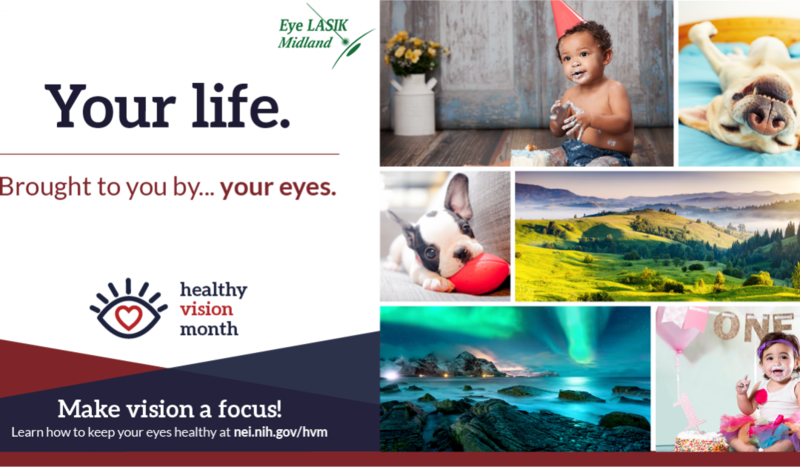 Healthy Vision Month is observed every May and during this month, Americans are encouraged to prioritize their eye health to prevent loss of vision and blindness. Of the five senses, vision, which is enabled by the eyes, seems to be the most important for several reasons. Our eyes help us to connect with our surroundings. If it were not for the sense of vision, for example, we wouldn’t be able to see and appreciate the variety of colors, patterns, and shapes that make up our environment. We actually perceive about 80% of all impressions using our eyes. The eyes enable us to perceive movement and gestures and with help from our brains, we can interpret them. For example, a smile can be interpreted as a gesture of friendliness, affection, or appreciation. The sense of sight is the most essential for our safety and self-preservation. Our eyes make us aware of the dangers around us hence we avoid them. For example, when you see an oncoming car, you stay on the sidewalk to avoid getting hit. Why is eye health important? Because of the important role the sense of vision plays in our lives, caring for our eyes and ensuring they are safe should also be of equal importance. We only have two eyes, and if we don’t take care of them we could lose our sense of vision forever. Good vision helps us care for ourselves and members of our families better. Healthy vision also contributes greatly to our productivity in workplaces as well as the community. It also enhances our abilities for example in athletics, learning and comprehension, and driving. We should, therefore, ensure that we prioritize eye health just like we do with other parts of their body. Most of us visit our physicians for regular check-ups and physical examinations of other parts of the body, but we rarely consider eye examination as essential. According to the NEI, more than 23 million adults in America have never had an eye exam because they think they don’t have an eye problem. Since many eye diseases don’t manifest in their early stages, many people end up developing complications that could have been prevented with a timely eye exam. How can you take better care of your eyes? Eat healthy foods: A diet rich in fruits and vegetables is good for your eyesight. You should particularly increase your intake of dark leafy green vegetables like kales, spinach, and collard greens. Eating oily fish like salmon and tuna which are rich in omega-3 fatty acids has also been proven to be beneficial to good vision. Maintain a healthy weight: Obesity or being overweight can lead to illnesses such as diabetes and other complications which can eventually cause loss of vision. Manage chronic illnesses: Chronic conditions like multiple sclerosis, diabetes, and hypertension can cause glaucoma, diabetic retinopathy, inflammation of the optic nerve, or even blindness. However, if you manage them with your healthcare provider, you can prevent these eye problems from occurring. Have your eyes comprehensively examined by an eye specialist: A comprehensive dilated eye exam helps your eye doctor common eye diseases and vision problems, most of which do not show early warning signs. For those over 60 years of age, having these exams annually is recommended. Use protective eye-wear: You should ensure that your eyes are safe during sports by wearing protective eyewear. Also, wear sunglasses when outdoors to shield your eyes from harmful UV rays. To learn more about Healthy Vision Month and how you can take better care of your eyes and vision, please contact us.